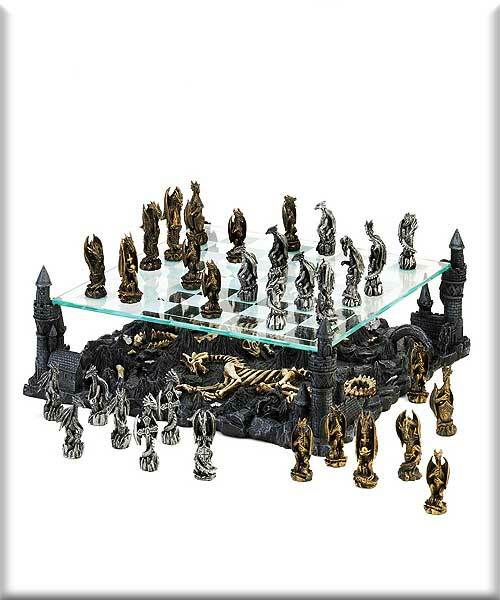 Stock# - 15190 Black Dragon Chess Set - Fire-breathing beasts battle for supremacy above the charred remains of dragon warriors that perished in this never-ending battle. Perched atop four corners of the kingdom, these winged monsters will not rest until they strategically best their opponent. A thrilling and visually stunning way to enjoy a rousing game of chess. 13 5/8" x 13 5/8" x 4 7/8" high; tallest piece is 2 3/4" high; smallest piece is 2 1/8" high. Poly resin and glass. Stock# - 15191 Color Dragon Chess Set - The dawn of chess, brought to life with blue and red winged beasts in a legendary battle as old as time itself. 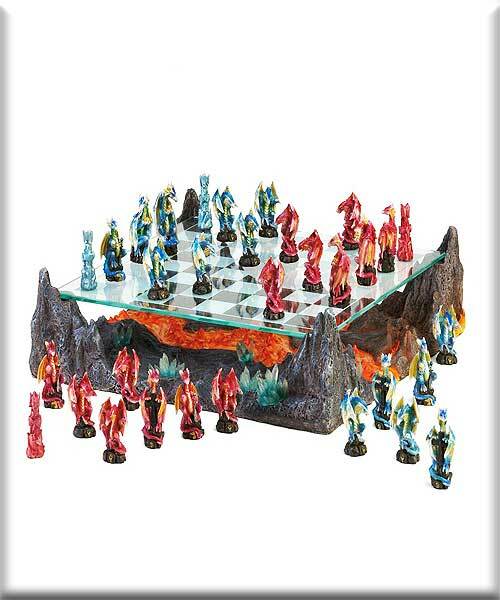 Battalions of finely detailed dragon warriors aim to conquer on a glass game board hovering over a primal river of magma flanked by crystal spikes. Chess collectors and dragon aficionados alike will delight in this set. 13 3/8" x 13" x 4 1/2" high tallest piece is 2 7/8" high smallest piece is 2 1/4" high. Poly resin and glass. 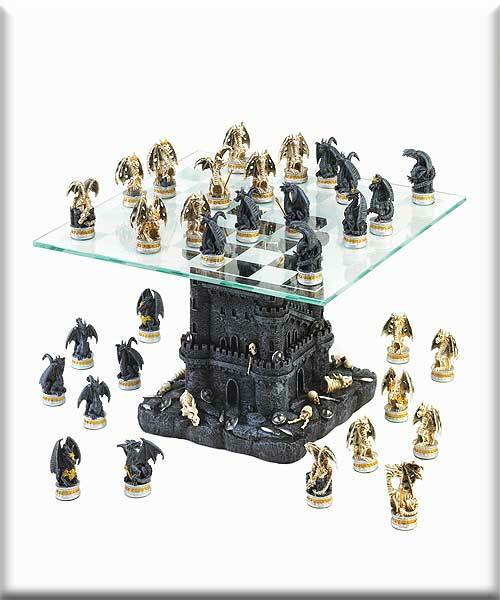 Stock# - 15192 Black Tower Dragon Chess Set - The battle for ultimate rule of the kingdom: cold-blooded dragons versus bloodless dragons! 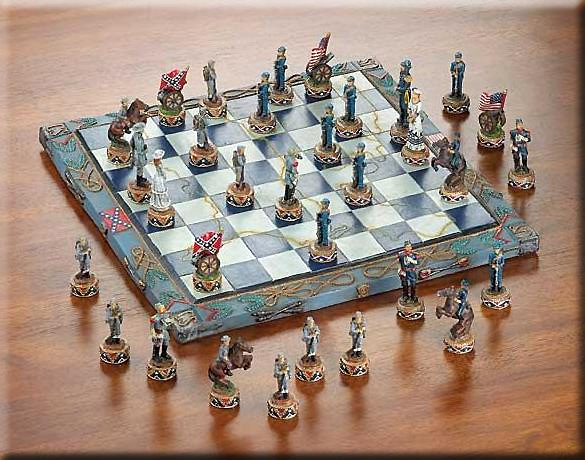 On a glass chess board resting atop a war-ravaged castle strewn with the remains of battles gone, this chess set will inspire fire-breathing contests of wit and strategy. A must-have for collectors and chess wizards. 11 5/8" x 11 5/8" x 7 1/4" high; base is 7 1/2" square x 7" high tallest piece is 2 1/8" high smallest piece is 1 3/4" high. Poly resin and glass. 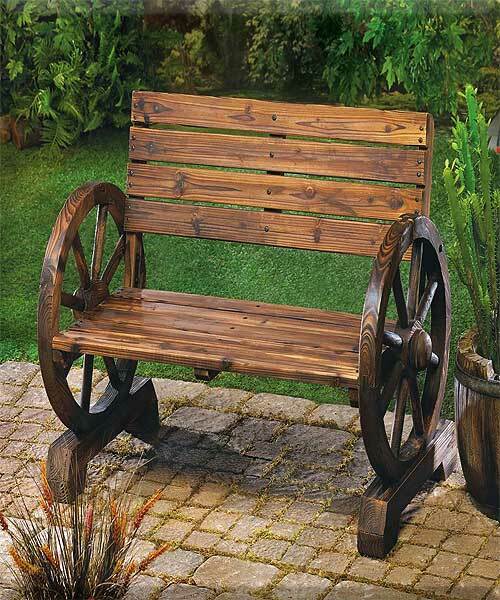 Stock# - 12690 Wagon Wheel Bench - Laze in the shade after a long day; this rustic bench is right at home on patio, porch or lawn. 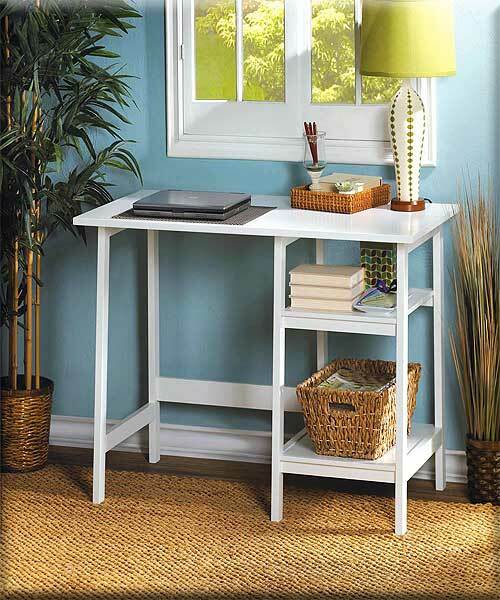 Sturdy love seat has ample seating for two, with quaint wagon wheel armrests at either end. It s country comfort at its finest! Wood. Some Assembly Required.